n00b squad - "Kaz & Effect"
Insomniacs around the world must be in a blissful rest given Sony’s conference just ended mere hours ago. If only I were so lucky to be inflected with such a disorder. Clearly not ones to mess with tradition, Sony’s conference was again an hour and a half bore, interspersed with by the occasional gleeful moment, only to be extinguished moments later by more mind-numbing drivel. I don’t know how anyone within the walls of Sony thought it was a great idea to demonstrate GT4 for a bloody 20 minutes. Shortly after announcing Sony would not be relying on gimmicks, they announce that the PSP can be used as a rearview mirror for a PS3 racing game. Brilliant! I can’t blame Sony for wanting to duplicate the success that Nintendo had with GBA-GCN technology. How would one even look at the PSP while playing a racing game? Would you mount it to the top of the TV? Why not just display the rearview mirror on the TV itself? These are questions that demand answers. And those answers will be responses to questions that should have never been asked. For some reason, the new name for Nintendo’s Revolution, “Wii,” now sounds a lot less ridiculous. 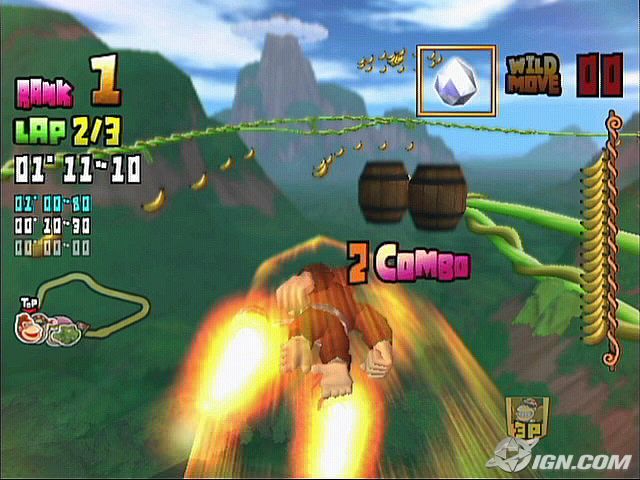 Nintendo’s *Wii simply can’t come soon enough. P.S. 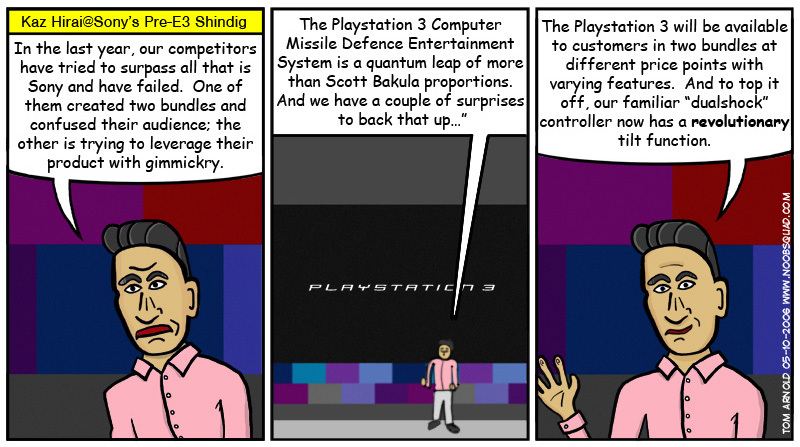 In case you’re outtada loop, the guy in the comic is one of the Sony Playstation head honchos. Ironically, the dualshock controller no longer has a rumble feature.